Coach (now/ever): Growing up my coach was Mike Watson. College coach was Coach Dau. 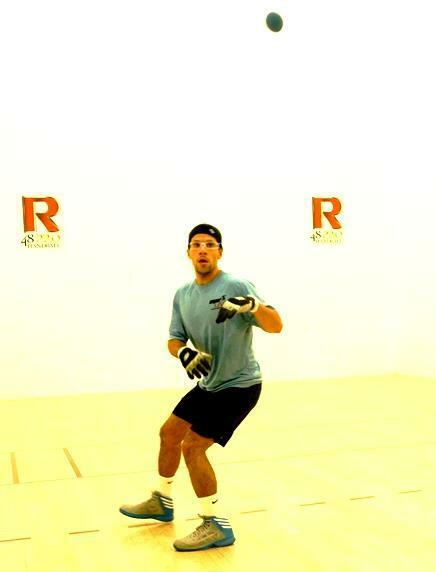 The most important aspect in handball: To me is having and pursuing a passion. What are your goals for the R48 season: To have a breakthrough tournament and remain happy and healthy. How do you prepare for Race events: Train my talent in practice and trust my talent in competition then repeat. 5.Growth -the need for constant development emotionally, intellectually and spiritually. Scrappy New York style (fly kill, paddle returns, driving passes and dangerous serve) has Iglesias forcing his way into the game’s elite.